The last time the Topps trading card company released a new set of Mars Attacks story cards, John F. Kennedy was in the White House. To celebrate the 50th (technically the 51st) anniversary of the originals -- which were reprinted in the '80s and became a Tim Burton-directed movie in 1996 -- the company is unveiling another batch. 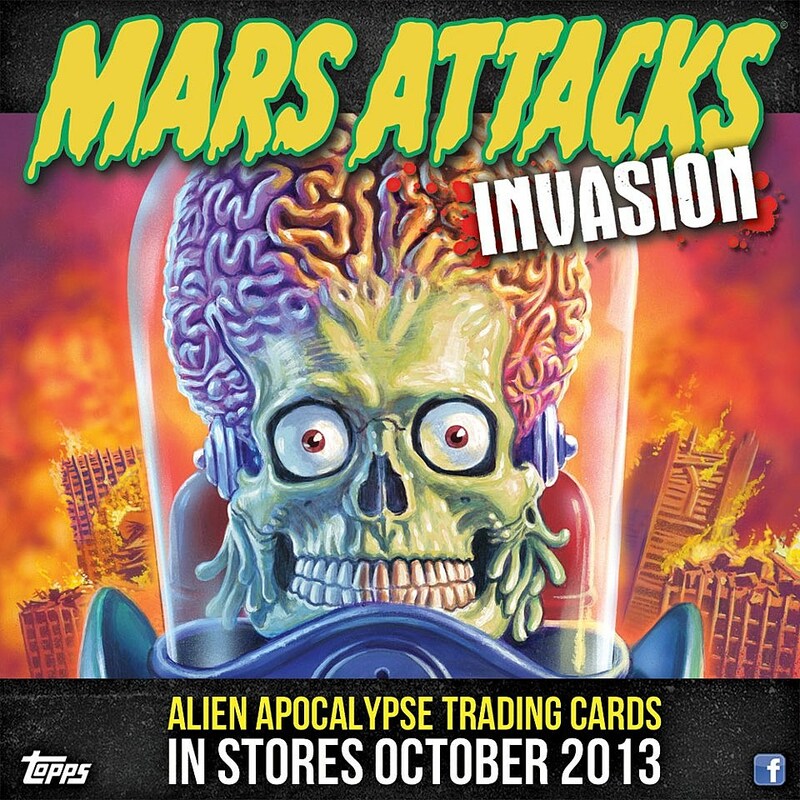 The new card set, titled Mars Attacks Invasion, is set to hit stores in October. The 63-card set will include art from Earl Norem, who worked on the original cards, along with Joe Jusko, Ed Repka, Glen Orbik and Gregory Staples, a Topps press release stated. "It will be a fresh re-imagining of the original series and will stay faithful to Mars Attacks' pulpy, classic sci-fi roots," Topps' Adam Levine said in a statement. "This means all-new, traditionally hand-painted cards illustrated by a group of artists carefully selected to carry forward creator Norm Saunders' legacy." Series editor David Waldeck added that this is the first card set of its type Topps has released in 20 years. Card packs will also include randomly inserted, original 1962 cards -- not reprints, but actual, original cards -- as well as "chase subsets and valuable collector-driven inserts," according to the release.